Thinking of weekend plans? 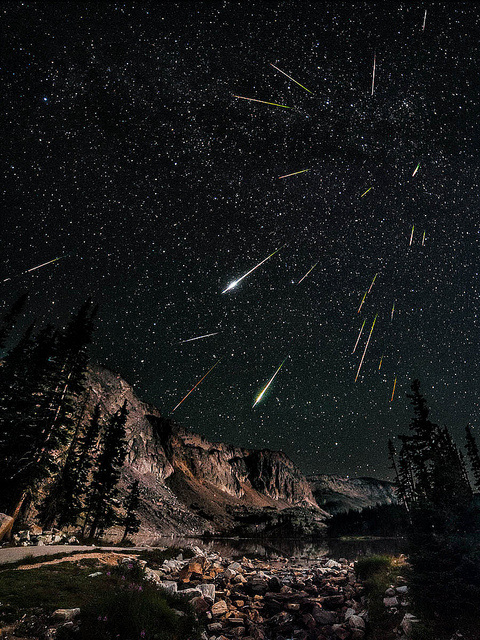 This year, August 10-13 will be the peak of the Perseid Meteor Shower and your best time to get a glimpse of the meteors streaking through our atmosphere. My favorite way to view this fall is by camping out where there is less light pollution to interfere with the stars. There are also many star parties, like the popular one hosted by Oregon’s Museum of Science and Industry (OMSI) on August 12th (more info). And while you are waiting for it to get dark, I suggest taking along a GeekyBook to pass the time. How about the memoir of meteorite hunter Geoffrey Notkin, Rock Star?